Situated in one of the poorest countries in sub-Saharan Africa, this community of approximately 4,500 people faces a number of spiritual, economic, and humanitarian challenges. Chibolya is known for the open sale of drugs, as well as for alcoholism, robberies, extreme poverty, and gender-based violence. The village has a very high unemployment rate which adds to the previous issues. It is located approximately 35 kilometers from the capital, Lusaka. Chibolya sits in Chongwe Town, the district office for Chongwe district, an area of mostly rural farmsteads. A large portion of Zambia is made up of subsistence farmers and agriculture is a major part of the Zambian economy, although not the largest part of its GDP. In Zambia over 60 percent of people live below the poverty line and 42 percent are classified as extremely poor. 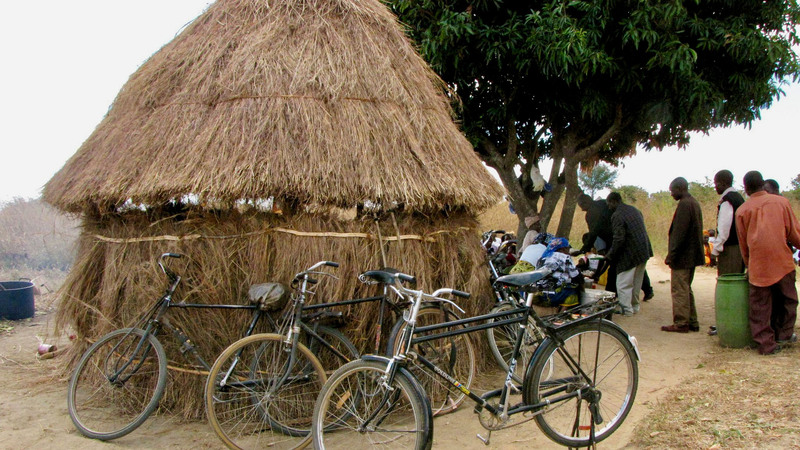 Most live on less than $1.90 per day, including many in Chibolya. Food insecurity is high because many people do not have access to a regular food supply. Due to high food prices families spend approx. 64 percent of their income on basic food needs. We seek to bring an integrated approach to working alongside the people in this community, unlocking the potential in the people we meet. We work with men and women who, because of the ravages of poverty, are desperate to survive. Discipleship is one way for us to share the love of Jesus and walk with them through some very dark times. This area covers our women’s and men’s ministry. One way we serve those in poverty is through helping establish businesses through training and development. We are also developing a piece of land for the purpose of skills training and agricultural training, as well to possibly establish a safe house for some of the vulnerable girls and women with whom we work. As with many of our ministries, we take a wholistic approach to our agricultural ministry. We not only train subsistence farmers and gardeners in Chibolya and Chongwe to be food secure, but we also have a discipleship program to meet the spiritual needs of those who work with us. We work with several schools in Chibolya and have hopes for a regular outreach to the children of Chibolya. At this time we are focusing on Mapalo School which is in its infancy as a school, but very much needed in the community. The issue of prostitution in Chongwe is, unfortunately, huge due to many factors. Ministry to this demographic of women focuses on street outreach and prayer, bathed in truth and love. While this ministry is very difficult because of the myriad of issues that lie deeper than most of the women are even aware of, it is one that is worth the effort as we see God intervene in their lives. We are very aware that each team needs extra help and short-term ministry can help meet that need, as can internships. This is a growing area for us and we look forward to the many people God sends our way to help with the work here in Chibolya.